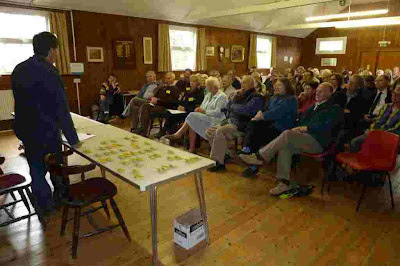 Last month’s meeting had a huge crowd of over 70 beekeepers and visitors, parking was quite a problem. Mike Bispham’s talk provoked interest and a lot of discussion regarding careful breeding of queens to work towards varroa resistant bees. Cut the comb out of the frame, melt the lot down gently, once cooled save the wax, and use the honey as “baker’s honey”, though some people like the stronger taste of ivy honey. Or it can be blended with other honeys to make a creamed product which can be more appealing. They should no longer need feeding by the beekeeper, but a weekly inspection routine should be started, looking for evidence of a queen [eggs and brood], room for her to lay and expand the colony, an even brood pattern and food stored within the colony. As this cold wet weather persists, choose your day carefully and be quick!Check for queen cells. If you do not know what to do, ask someone experienced for help.I have attached an example of a record card, very necessary once you have more than one colony. One sheet per hive lasts me a year. FOR SALE: Have a look on our NOTICEBOARD for latest bargains on honey jars and member's sales of all manner of kit and don't forget, that you can CONTACT Patrick Murfet, who is our local Thorne Agent and will take orders in advance of meetings. Mary will be at the apiary at 1pm prior to Next Meeting looking forward to meeting beginners wanting hands on experience. A hive will be opened and examined, then some aspect of beekeeping theory discussed. After the business part of the meeting the other hives will be examined. 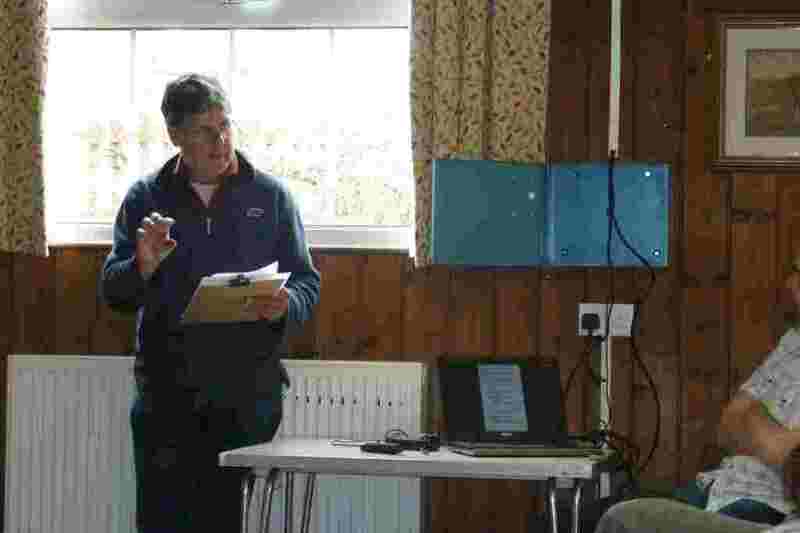 Any further beginners will look at a hive with Chris Holdstock. We have suits to loan. Beekeepers [pre-Basic exam] will open 2 hives with Richard Baker and the remaining 4 hives will be opened by experienced beekeepers in small groups who will report back their findings. This should focus the progress as we are expanding so much. The latter group will also do the changeover of 3 hives to the new purchases.